Grab a few, juice ‘em up, and enjoy the glory of blood orange season with these three simple cocktails. The dead of winter might not be prime time for berries or peaches, or any number of fruits we love to make fresh cocktails. But thankfully, it’s citrus season—a beacon of tart, juicy hope in the darkness of February. 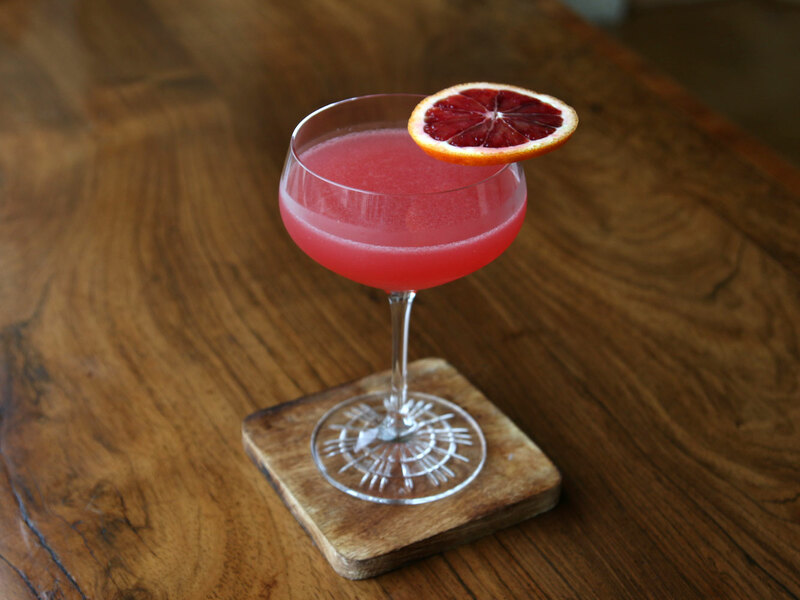 And while citrus plays a vital role in cocktails all the year round, this time of year we’re awfully enamored with blood oranges. There’s something unmistakable about their vivid flavor—more bittersweet, less one-dimensional than your standard orange. They taste, for lack of a better word, redder—with a greater intensity of flavor. And we love any cocktail ingredient that can impart such a gorgeous vivid hue. So grab a few, juice ‘em up, and enjoy the glory of blood orange season with these three simple cocktails. Rum, lime, and sugar—that’s all that’s in a classic daiquiri. (No artificial color-laden slushies here, please.) And we find that blood orange slides in perfectly, keeping the lime to punch up the citrus acidity. Dry white rum is a clean, neutral counterpart. Instructions: In a cocktail shaker with ice, combine two ounces of white rum (we’re fans of Brugal Extra Dry), 3/4 ounce of blood orange juice, a quarter-ounce of fresh lime juice, and half an ounce of simple syrup. Shake all that up well, and strain into a chilled cocktail glass. Garnish with a blood orange wheel. More complex than a mimosa, juicier than a French 75, we love the way that blood orange juice, vodka, and bubbles come together in a cocktail. (And the color can’t be beat.) Make a round for brunch and watch them disappear. Gin, white rum, or even tequila would work well here, too, but vodka’s the can’t-miss crowd-pleaser. Instructions: In a cocktail shaker with ice, combine an ounce of vodka, an ounce of blood orange juice, and half an ounce simple syrup. Shake until well-chilled, then strain into a flute. 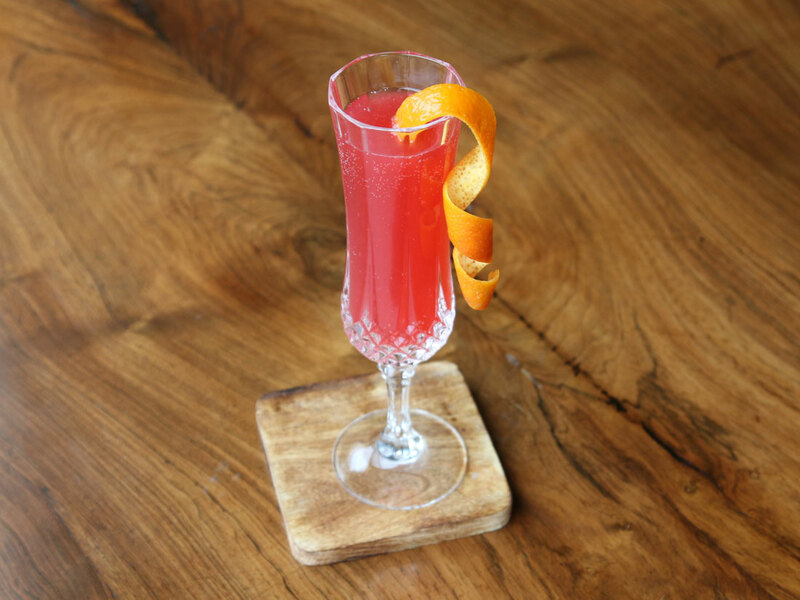 Top with two ounces of sparkling wine and garnish with a long, thin blood orange peel. 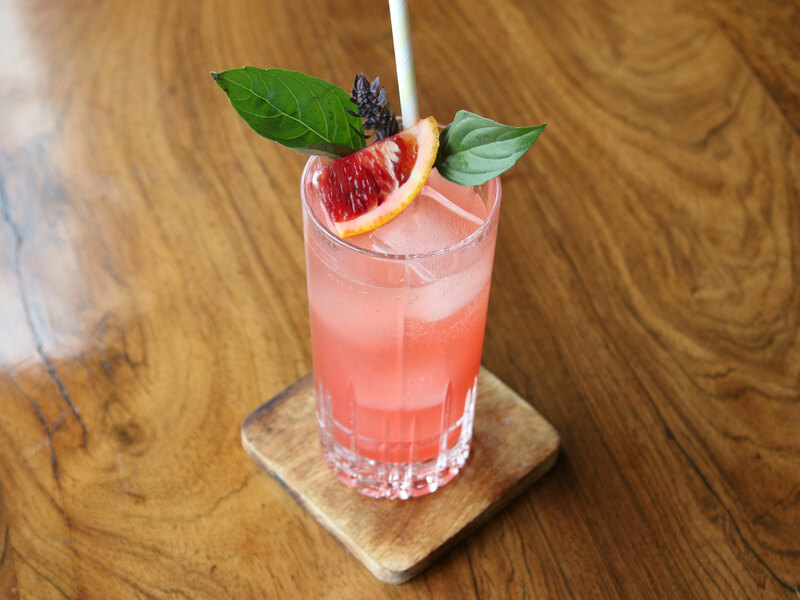 If a blood orange is the bolder, more daring cousin to the traditional orange, let’s say that Thai basil occupies a similar role. With a liquorice-tinged flavor and palpable spice, it comes through loud and clear in cocktails, including this Tom Collins riff with lots of blood orange. There’s no need to muddle the herbs here; with a hard shake, the basil will get batted around plenty.